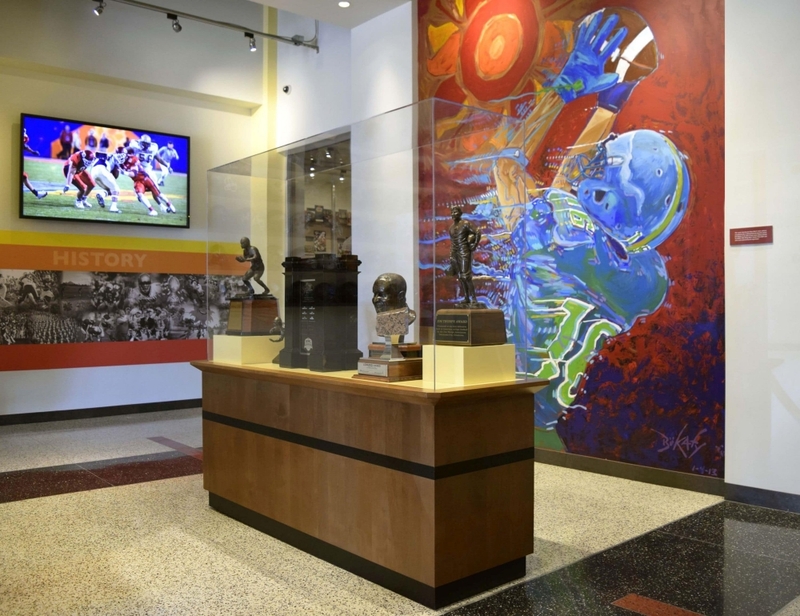 Fiesta Bowl Museum: Welcome Gallery - CK Valenti Designs, Inc. 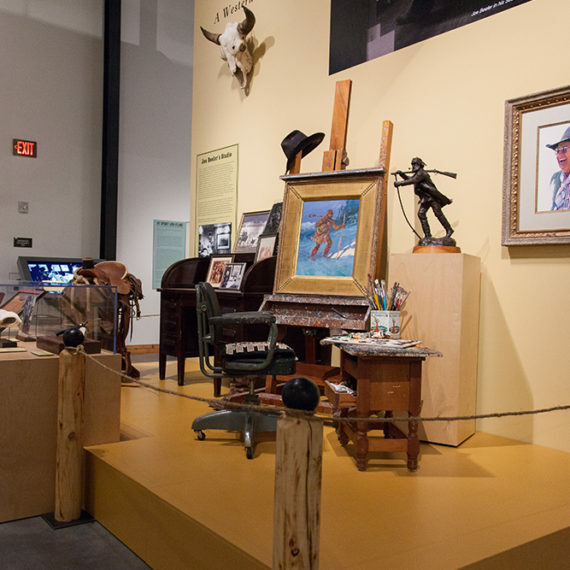 When the Ziegler Fiesta Bowl Museum hired us to usher in a new set of exhibits, we were intrigued by the challenge. 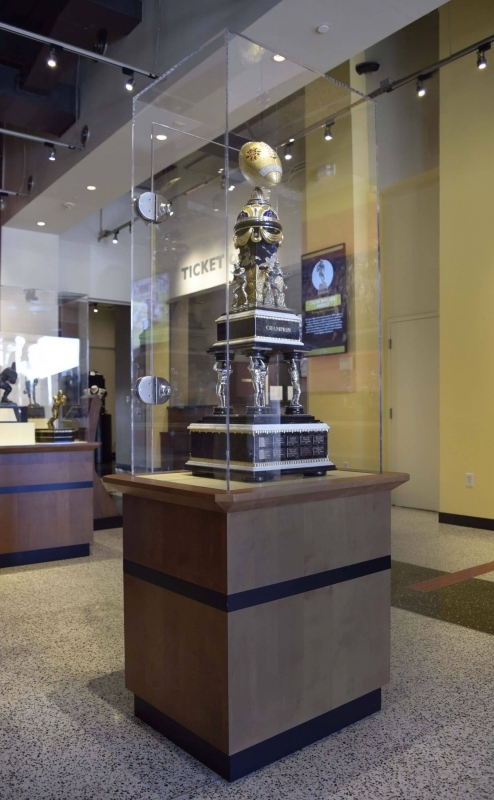 The museum showcases the history of the annual college football game. 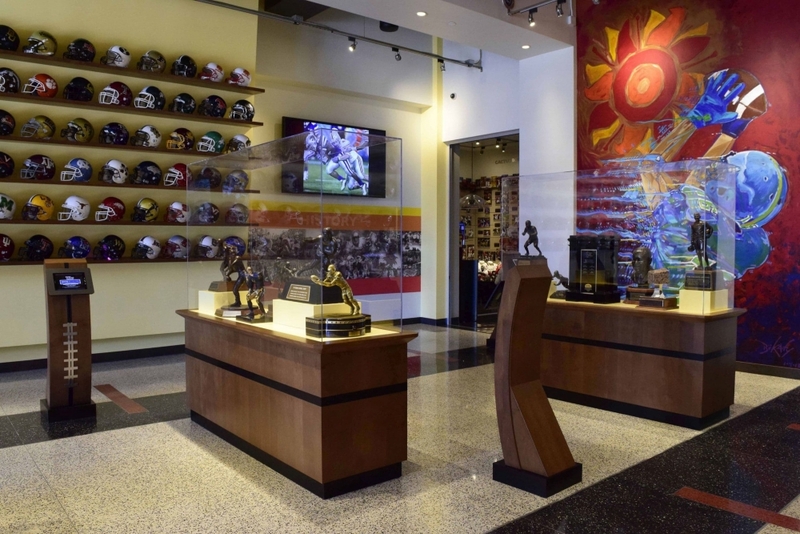 Exhibits include memorabilia from Fiesta Bowl events and games, including team helmets and trophies. We were asked to create displays that offered an upscale experience but also stayed true to the football theme. We started with alder pedestals and display cases with clear acrylic vitrines stained in a warm brown. 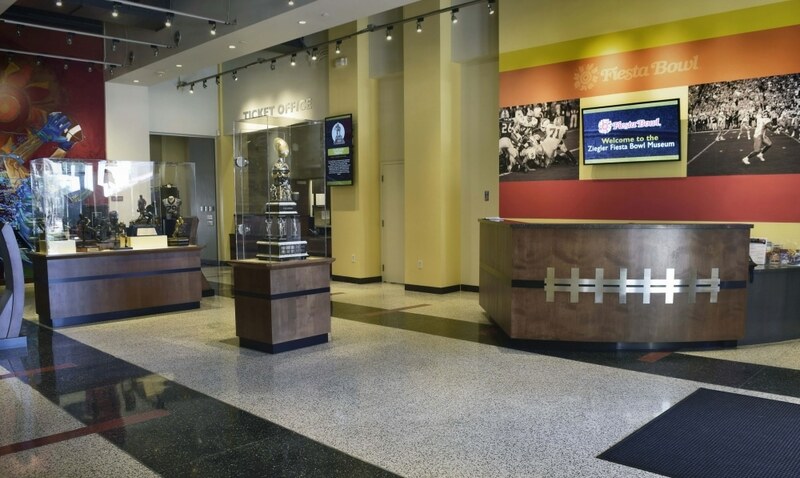 To maintain a modern, sport-like look, we inlaid the custom wood pedestals with bands of black anodized aluminum. 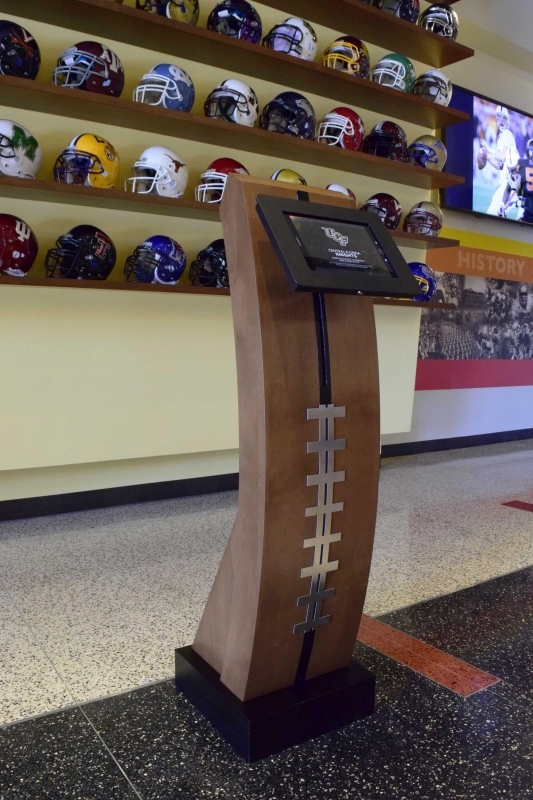 The final pieces are streamlined and artistic, providing the perfect base to display a unique collection of football memorabilia. Fans are delighted to be within inches of their favorite teams’ collectables. 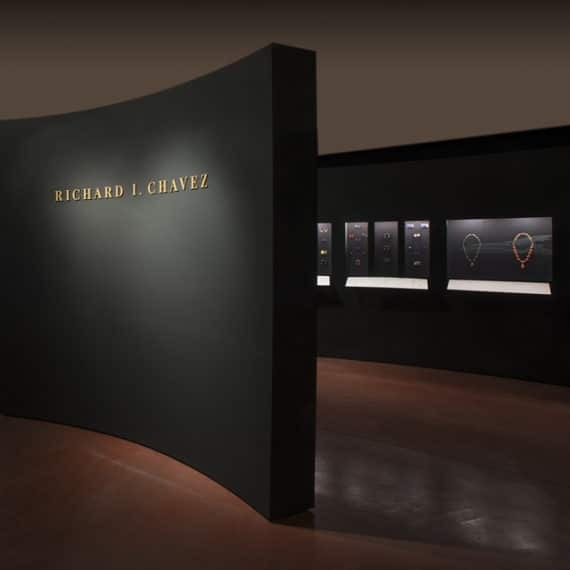 Learn more about the Ziegler Fiesta Bowl Museum located in Scottsdale, AZ. 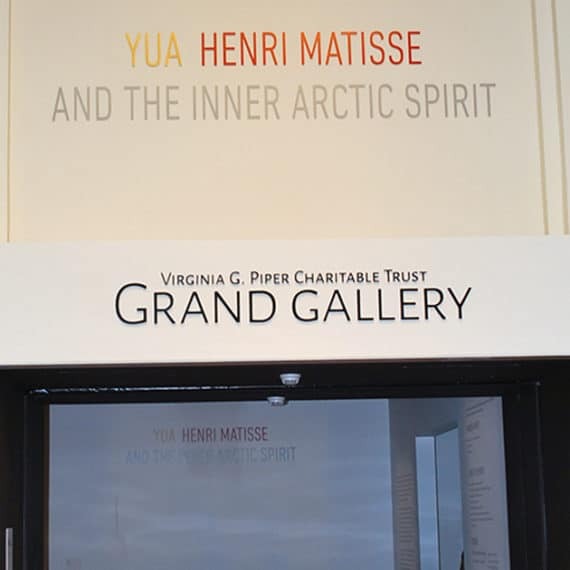 The reception desk is situated so that the staff is able to warmly greet visitors. It has a new alder facade with a transaction countertop and a football inspired, brushed stainless steel lace detail. 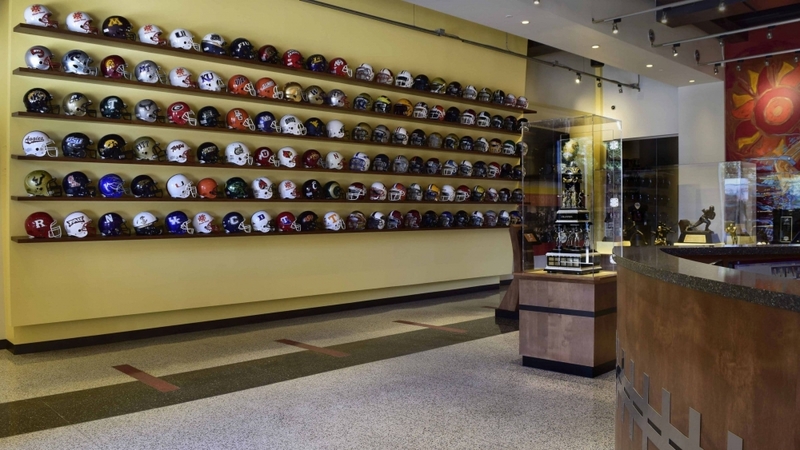 Custom floating alder shelves were created to hold 132 college football team helmets with a programmable LED light system controlled by a tablet. 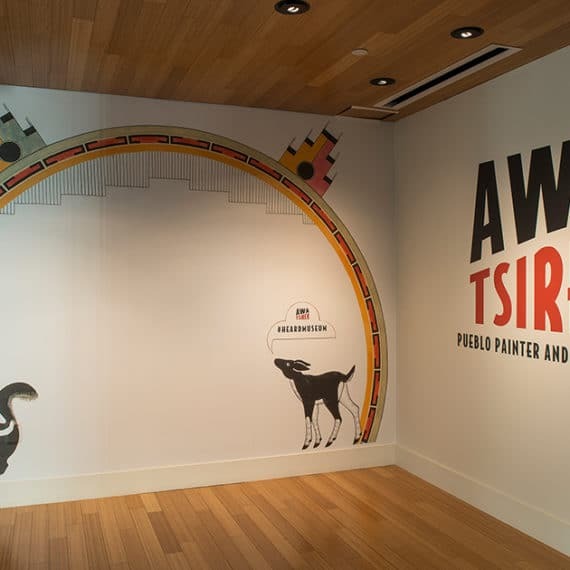 Interactive football inspired kiosks are located throughout the gallery. We constructed them with a brushed stainless steel lace detail and an adjustable tablet mounting bracket. 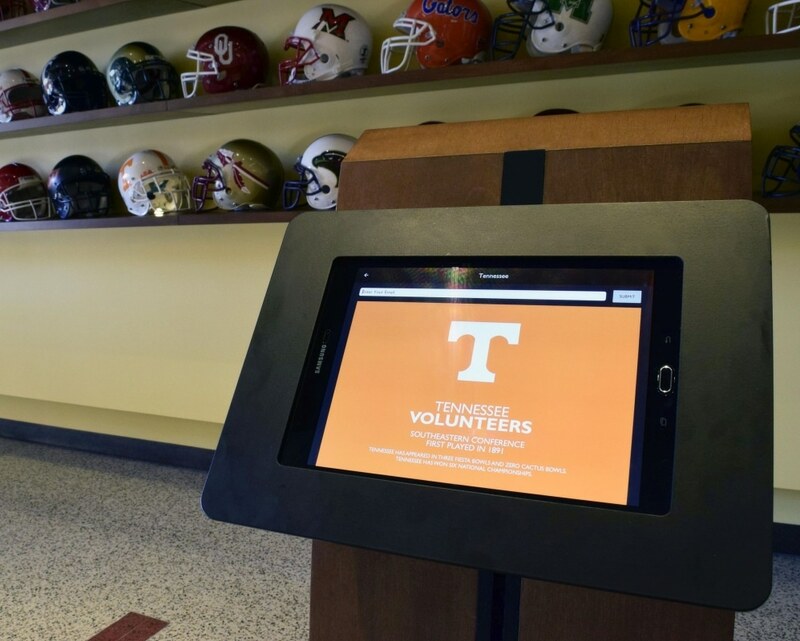 The tablets allow visitors to interact with digital screens to learn more about the history of the Fiesta Bowl and each of the teams that have played in the annual game.